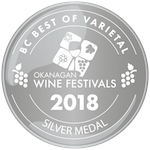 At Indigenous World Winery we pride ourselves on producing wines of the highest quality, made from the very best grapes grown in the Okanagan and Similkameen Valleys. These wines are produced by one of the top winemakers and his crew of excellent cellar hands. The quality shines through with the many awards we have won. 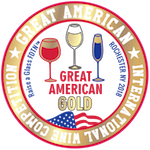 This year's event was highly competitive during which the judges tasted more than 4,200 wines from 31 countries around the world. Our wines submitted were received with approval. This wine competition is the largest and most influential wine competition in America. 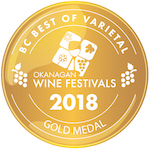 Three of our wines took home medals! This year, the National Wine Awards of Canada were bigger and better than ever with over 1700 entries from 240 different wineries! 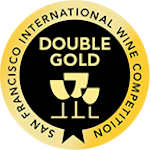 Three of our wines won medals; one gold and two bronze! 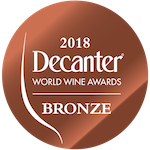 The Decanter World Wine Awards is the world's largest and most influential wine competition. 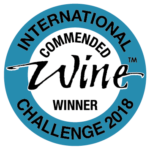 Judged by the world’s wine experts, the results provide a comprehensive list of wine recommendations and international stockists. Three of our wines were recognized by this extremely influential group of experts. 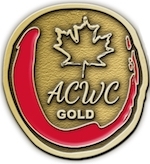 The All Canadian Wine Championships are open to all Canadian wineries. 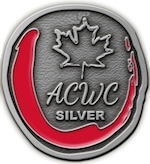 This years competition took place June 7-9, 2016, in Prince Edward County. 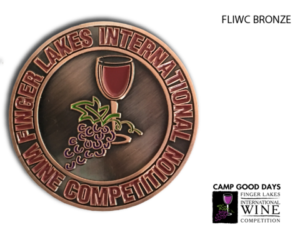 There were over 135 entries from over 230 wineries! 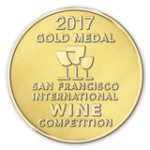 Two of our wines won medals; one gold, and one silver! 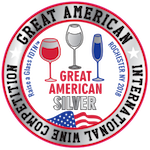 The International Wine and Spirit Competition was held in London, England May 3 - 5, 2016, which receives entries from approximately 90 countries world wide. 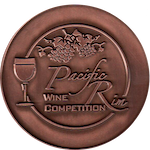 The judges recognize and reward the very best in the wine industry. 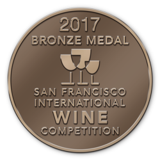 Three of our red wines were entered into this competition and all three took home some hardware! 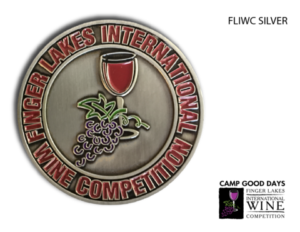 Finger Lakes International Wine Competition was held in Rochester, New York on March 18 to 20, 2016. 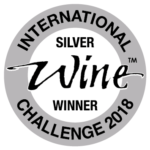 Over 3800 international wines were entered into the competition with 4 of those wines coming from Indigenous World Winery. All 4 wines took home medals! Cornucopia presented by BlueShore Financial is Whistler’s food + drink celebration celebrating its 19th year. The festival is newly expanded to eleven days of gourmet food, wines, spirits and craft beer complete with an exciting line up of talent, including mixologists, sommeliers, and renowned chefs in the food and drink industry. 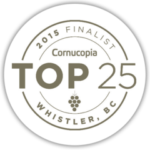 Our Simo Bordeaux style blend has recently won its third medal making the Top 25 list for Cornucopia. Wine lovers and aficionados alike are invited to explore the top 25 award-winning wines at various Cornucopia tasting events, including the flagship tasting event: CRUSH Grand Gala Tasting, November 7, the top-shelf wine tasting event: Cellar Door Grand Tasting, November 6, as well as Cornucopia’s awards celebration: Top 25 Celebratory Reception, November 7. Our 2014 Gewurztraminer and 2012 Simo Bordeaux Blend both won a Silver Medal at The New York World Wine & Spirits Competition. 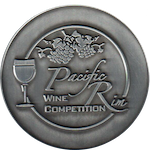 The 2014 Pinot Gris took home a Bronze medal in the same competition. 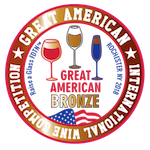 The New York World Wine and Spirits Competition is one of the largest competitions for the retail beverage industry in the world and has attracted top professional Judges from restaurants, bars and clubs, food and beverage buyers, USBG Mixologists, Educators, Beverage Directors, Columnists, Writers, Sommeliers and Chefs. 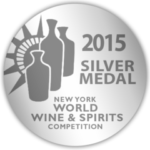 We won our very first medal at The InterVin competition in Toronto, Ontario in August 2015. 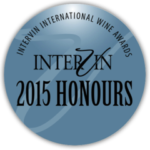 The InterVin International Wine Awards is designed to recognize and celebrate the very best wines available to Canadian consumers.